Claiming to have been established in Paris in 1817, the House of Doucet reached its greatest prominence under the design influence of the founder's grandson, Jacques Doucet (1853-1929). While many members of the Doucet family were involved in various aspects of the apparel and related trades, the fashion house of Doucet can be traced to Antoine Doucet (1795-1866) and his wife (née Adèle Girard, d. 1866), who began as vendors of items of lingerie, laces and embroideries, and related merchandise for customers of all ages and both sexes. In 1869 the haberdashery aspect of the business was sold. By 1840 the firm had been established on the rue de la Paix, an increasingly important shopping street, and the second of the couple's six offspring, Edouard (1822-1898), was taking an increasing role in the business. Edouard Jacques Doucet's father, took the firm over in the early 1850s. Surviving from the last third of the nineteenth century are a number of stylish garments carrying the label of Mme. Doucet, 21, rue de la Paix. (With the renumbering of streets, the old address number of 17 became the new 21.) What is unclear is who might be behind the courtesy title "Mme., " as Adèle was deceased, and there is no indication that either her daughters or daughtersin-law were involved in business at this address. Beginning in 1858 Maison Doucet is listed in a business directory under the category of "nouveautés confectionnées," and by 1870 Edouard was supplying the queen of Wurtemberg with couture garments. Royal commissions, awards at numerous international exhibitions, actress modeling and patronage, and a long-established association with a highly desirable and valued material, lace, assured interest from a wide client base at Maison Doucet. During the house's peak, Jacques Doucet's personal friend, the well-known actress Réjane, became a one-woman advertising vehicle for the house. Jacques, who was born on the rue de la Paix and died in Paris, grew up in the family business, which he appears to have joined in 1874. While Jacques Doucet is generally credited with being the house's designer, there is enough evidence to question the scale of such a role. As late as 1894 fashion correspondents do not give readers a clue as to whether they are dealing with the elder or younger Doucet, believing that readers are versed in the knowledge of who indeed is "Doucet, the famous dressmaker." Additionally, M. José de la Peña worked at the house as a fitter and designer from the 1870s into the 1920s. Another designer of the time, Paul Poiret, saw flashes of brilliance in de la Peña's fingers that were unmatched by the house's titular head. There is no question that Jacques Doucet was interested in apparel and what visual message it could convey. He was a fastidious personal dresser, and he happily applied aesthetic judgments not only to the garments made by the house that bore his name but also to the historic garments he personally collected. Indeed, he was one of the greatest art connoisseurs of his day, first establishing an internationally recognized collection of eighteenth-century artifacts and then a second remarkable collection of modern art. Garments carrying the Doucet name frequently incorporate a historical fashion reference or two, particularly to the modes of the eighteenth century. For decades, the prevailing taste for festoons of lace was sympathetically incorporated by the house into a variety of creations. Embroideries, especially floral and insect interpretations, frequently were executed in prevailing styles, such as art nouveau. Moreover, many of the garments were executed in more fluid fabrics than is usually associated with applications in such decades as the 1880s or 1890s. As a promoter of fashions Jacques Doucet is best recognized for endorsing delicate, feminine toilettes featuring laces and other fripperies, but the house has also been credited with creating one of the enduring staples of a woman's wardrobe, the tailored suit or tailleur. Another innovation accorded Doucet is that of working with furs as if they were fabric, specifically making fitted coats. Doucet garments were popular with American clients, and by 1895 American merchants were busily buying models to export and copy. By the end of the nineteenth century the couture house was one of the largest in Paris, with a yearly turnover in business of more than thirty million francs. Between 1896 and 1912 it was the training ground for two of the emerging and talented young designers who would go on to define fashion in the early twentieth century: Paul Poiret, who worked for Doucet from 1896 to 1900, and Madeleine Vionnet, who worked there from 1907 to 1912. Vionnet's first collection is said to have been revolutionary not only for the house but also the time. 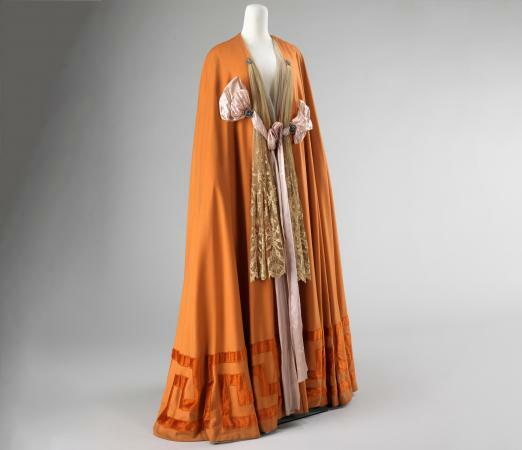 Interestingly, but for very different reasons, neither Poiret's nor Doucet's houses productively survived World War I. Initially Jacques Doucet had had the luck to land in a period of fashion that perfectly matched his own design sensibilities. The Great War changed not only what women wore, however, but also how they wore it, and the aging Doucet simply could not keep up with the times. In 1924 the house merged with the lesser firm of Doueillet, and the combined firms ceased business in 1932. See also Lace; Paris Fashion; Paul Poiret; Madeleine Vionnet. Coleman, Elizabeth A. The Opulent Era: Fashions of Worth, Doucet, and Pingat. New York: Thames and Hudson, Inc., 1989.